Phonology research papers discuss the study of sound as it pertains to a language. The sounds that make up phonemes all begin in the lungs. From there, humans can decide if the air they breathe will make sounds. If a person wants to make a sound, he chooses what kind of sound to make by directing air through the mouth or nose. The specific placement of the air within the mouth decides if the sound will be voiced or remain just a sound. It is up to the person to move lips and change vibrations in order to create different sounds that are associated to mean different things. These sounds become phonemes. 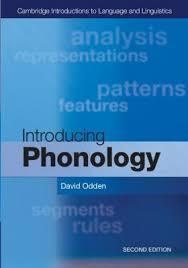 Phonology is the study of sound as it pertains to a language, and is a part of the study of linguistics. Phonemes connect meaning to the sounds and phonology is the study of phonemes. Phonology looks at the sound patterns within words. Different languages have different sound patterns within words. Some of these sound patterns are shared between different languages, and some are entirely different than any other language sound. Phonology is sometimes confused with phonetics. Phonetics is the study of the production of the speech sound. Phonology focuses more on the patterns of the sounds within different languages that derive meaning. The roots of phonology can be traced back all the way to the 4th century BC and the Sanskrit language. A polish scholar, Jan Baudouin de Courteney, introduced the term phoneme in 1876. Phonics - Phonics research papers discuss the system of relationships between language sounds and letters. Reading Comprehension - Reading Comprehension research papers discuss the basic ability to read text and process the information and understand what was read. Phonological Awareness - Phonological Awareness research papers examine the process that allows a person to hear and change sounds. Elementary Education - Elementary Education research papers on the help provided for students with a foundation for future academic development. Phonological Disorder research papers examine the developmental articulation disorder, speech distortion, or sound distortion, in young children when learning speech. Adult Literacy - People who are unable to read and write are called illiterate. People who are literate are able to read and understand both text and symbols. Speech Disorders - Speech Disorders research papers examine the impediments that cause a person's normal speech to be disrupted. Paper Masters writes custom research papers on Phonology and discuss the study of sound as it pertains to a language.